Experience for Hire is a program spearheaded by AARP Michigan. This program matches Michigan job openings with the skill sets of workers who are 50-and-older. 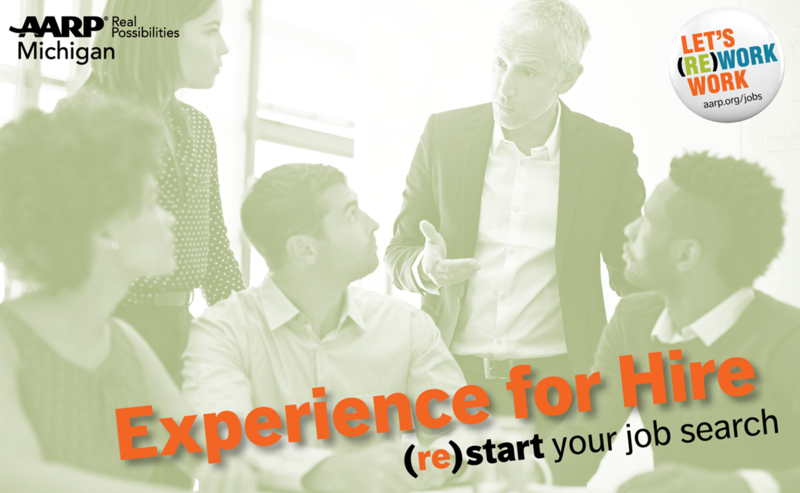 Experience for Hire provides a great opportunity for you to find employment that requires your specific skill sets. Vetted job seekers and employers will be brought together at this free hiring event. Some of the job skills sought by these employers include: positive attitude, effective communicator, good driving record, willingness to learn, strong work ethic, enjoys people, friendly, reliable, teachable, enjoys working with children, detail oriented, ability to stand for full-time shifts, ability to learn a fast-paced trade and others. This is not your typical "job fair". Once you register for this event, we will attempt to match your job skills with the skills required by the participating employers. You will be notified of your employer prospects should we make a match.